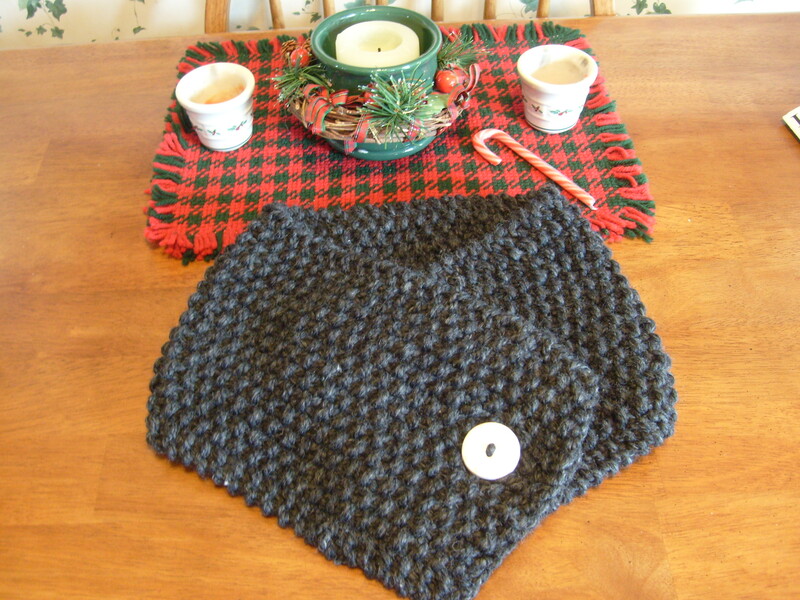 For once I finished my Christmas knitting way ahead of schedule, or so I thought. BUT then I remembered the socks I needed to finish for my mom and dad. 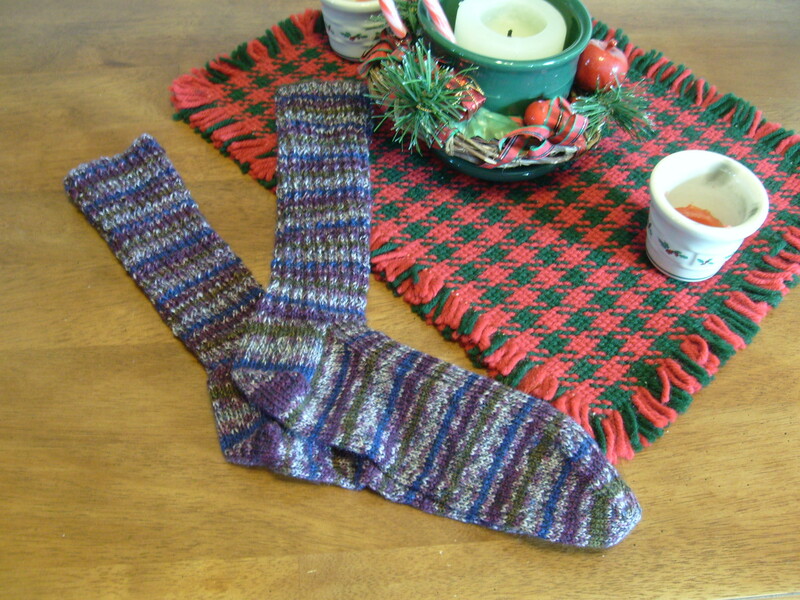 I had one and a half socks knit for each of them, having just turned the heels on the second sock for each of them. 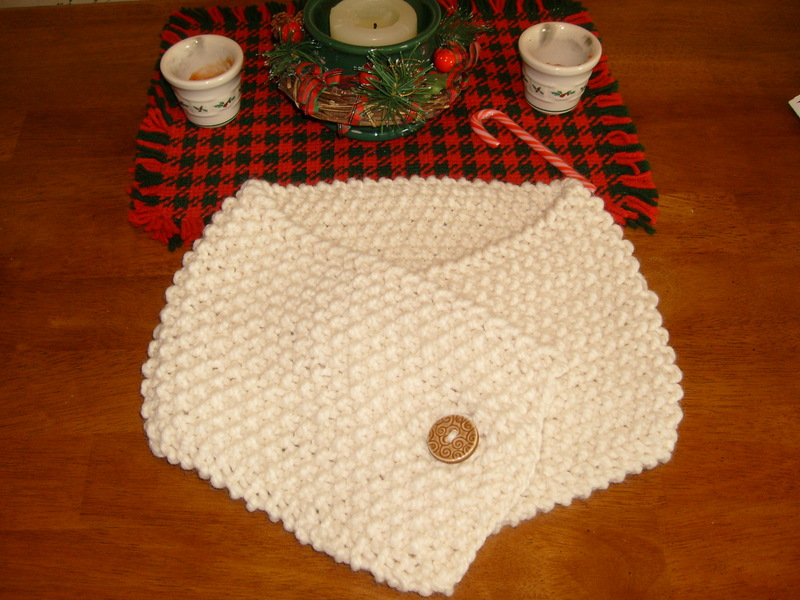 So, crazy knitting ensued on December 18. Actually it wasn’t too bad because that was all I knitted on for a few days, and then they were done Yes, done by December 21! 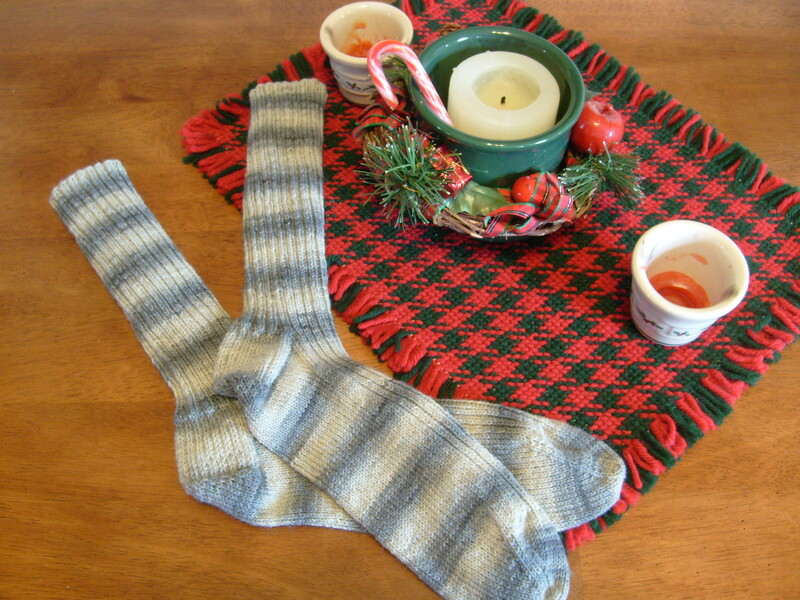 These gray ribbed socks were for my dad, but I decided to give them to my dear husband. My dad got a pair of tan cabled socks from me. And I couldn’t forget my sweet little great niece (whom I rocked to sleep on Christmas Day because she was all tuckered out)! So I used this great yarn from Jojoland called Rhythm Superwash. It’s super spongy and has a ton of memory. I’ve used it on socks too, and it’s great. 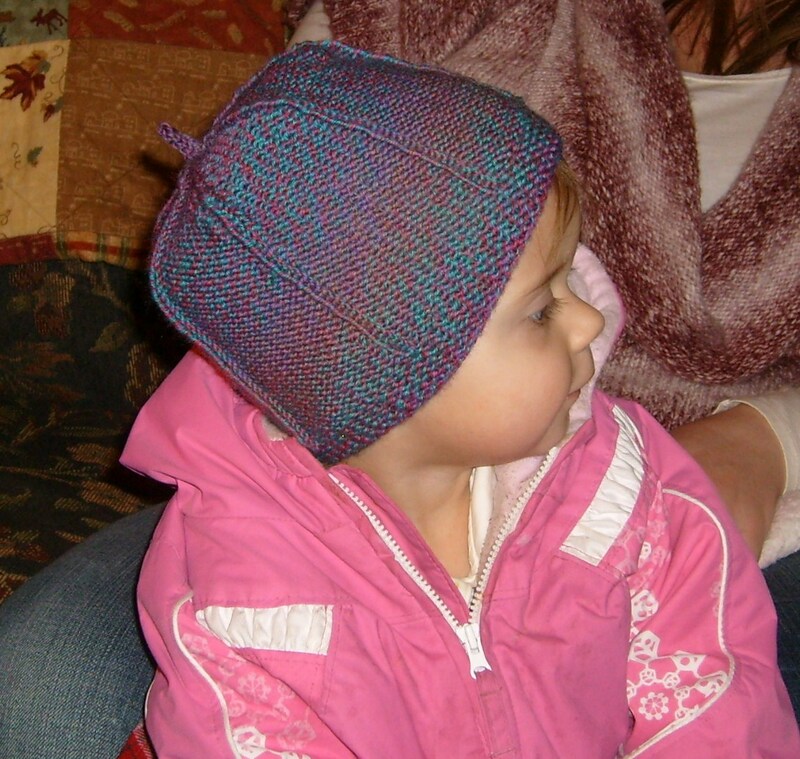 This pattern is called “Cute Little Buggy” and is free here on my blog! Now I guess I’ll start next year’s knitting!